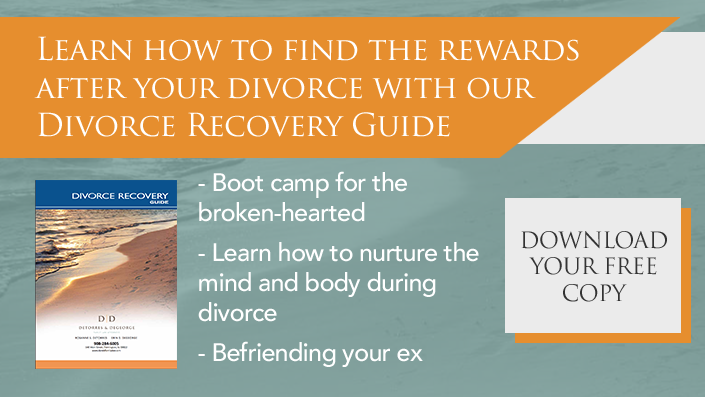 Life after divorce can be confusing and anxiety provoking. You may be thinking, who am I now? Who do I want to be? Whether you’re feeling unattractive, inadequate, or simply not your best, I am a firm believer that one of the quickest fixes to boost your self-esteem is finding your style or creating a new one. Moving forward means discovering what you like, allowing yourself to take time for self-care, and allowing yourself to identify and invest in the “new you”. 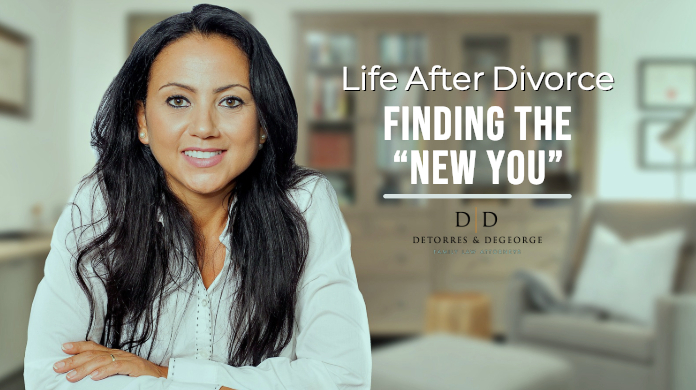 This can be the perfect opportunity to redefine your image and reinvent not only how you want to be perceived by others, but how you want to feel yourself. This is the perfect time to take charge of your wardrobe and closet. As you symbolically clear the clutter from your life, it’s time to take on the tangible items as well, getting rid of old clothes and bringing in new pieces and accessories that bring joy to your new life. The good news is that building a new wardrobe doesn’t have to be expensive. By knowing what to buy, where to invest your budget, and what your goals are, it’s easy to create a wardrobe that fits who you want to be. There’s a lot of psychology behind color, and this is one of the greatest (and easiest!) ways to exude energy and confidence. As you embark on your next chapter, toss the black clothing aside and bring some color into your life. Bright hues and jewel tones instantly perk you up, and can even exaggerate your greatest features like your hair color and eyes. But, if you are someone who has a closet full of black and navy clothing, there are plenty of ways to jazz up your outfit with accessories like bold jewelry or patterned scarves. If you’re wary of pattern pairing or introducing color, an expert or someone with an eye for detail and style is the perfect assist. Start with a closet edit and get rid of what no longer suits your style. Try on piece by piece, and when you look in the mirror ask yourself how you feel—does the clothing fit? Does it fit your figure? Do you like how you look? When was the last time you wore it? If you don’t feel confident in your feelings, put the pieces aside and donate them to a women’s collection. Make a list of the pieces you need. Did you just toss all of your black slacks? Are you in desperate need of new cardigans? Writing down a list of what you need will help you stay on track and on budget when you shop, and help you prioritize the items you need to purchase first. LOVE what you buy. Don’t let the pressure of pushy sales associates force you into a purchase you’ll regret. Make sure it feels comfortable, works with your daily or special needs, and feels like a logical purchase. If you feel great and walk out smiling, you know you’ll get great use out of your new pieces. Buy for quality, not quantity. Though knock-off stores with majorly discounted sales can be tempting, investing in quality pieces will always better suit your wallet. If you’re unsure, think about how you plan to wear your clothing. If it’s a trendy piece or for a casual event, you most likely can get away with a great steal from a mass retailer. But, if you’re purchasing a capsule collection item, go for the reputable brand. Invest in well-fitting undergarments. Not only will this help your clothing fit better, but you’ll feel more confident knowing that your body is shown appropriately. Remember the importance of self-care. How you look and feel goes beyond your clothing: neat hair and nails reflect a well-kept individual. Don’t fall for seasonal trends. Just because something is a trend doesn’t mean it’s the right style, shape or pattern for you. Try a consignment store. Yes, looking for a specific piece in a second-hand store can be time consuming, but oftentimes you can find quality merchandise that is never or very lightly worn, and a great deal for a vintage or expensive label. Building a new wardrobe is an investment of time and money. You don’t have to reinvent your wardrobe in one day. Add to your closet piece by piece, making sure that you love what you buy along the way. If you can’t stop thinking about it, it’s going to be a great purchase. Accessories are awesome. Adding a great necklace, earrings, or a scarf is a fun and easy way to create a whole new look. And the best part is that accessories can be purchased anywhere, at all different price points. It’s not how much you spend, it’s the look that you are creating and the way you feel. How we present ourselves is key to how we feel about ourselves. It’s so important for women to wear what they love, and love what they wear. Having clothing that you feel happy and confident will translate into your everyday—from the way you interact with your friends and family to the esteem you hold yourself to in the workplace. Remember, it’s not about how much you have, it’s about having the right pieces that you enjoy and feel good in.